Raisins are a must for desserts. Be it cakes or cookies. Even Indian desserts like kheer or halwa seem incomplete without them. The problem is that raisins, though packed with taste, are shriveled, dry and chewy. Often cooking them does makes them a little juicy, but not enough. The solution to this problem is rehydrating them. My mother’s way of rehydrating raisins was to soak them in lukewarm water for 15-30 minutes. That does work well but I have found a better way to do that. How about we plump up raisins with something other than water? Like orange juice. I plumped up raisins for making an awesome wheat-flour carrot cake and it juicy raisins made all the difference. Squeeze out juice from orange. 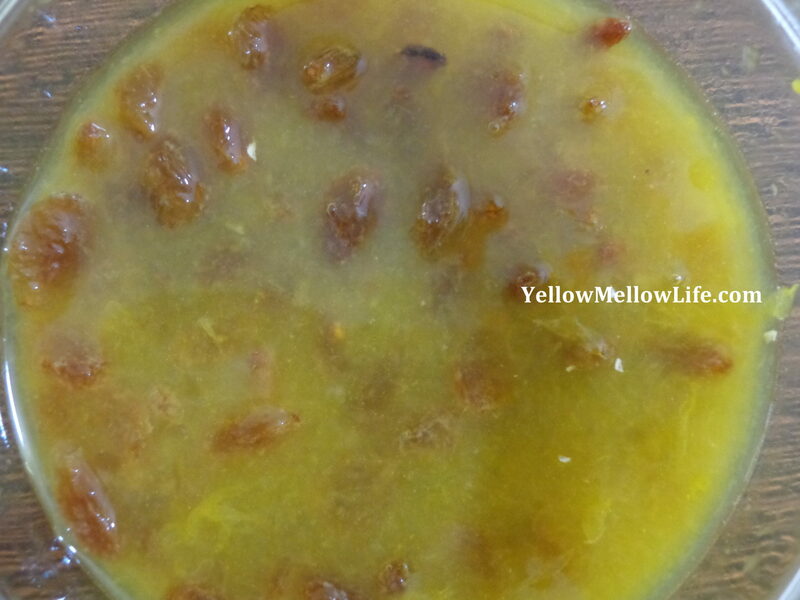 Soak raisins in the juice for about 4 hours. After 4 hours the raisins would have soaked up all of the orange juice (yes all!). 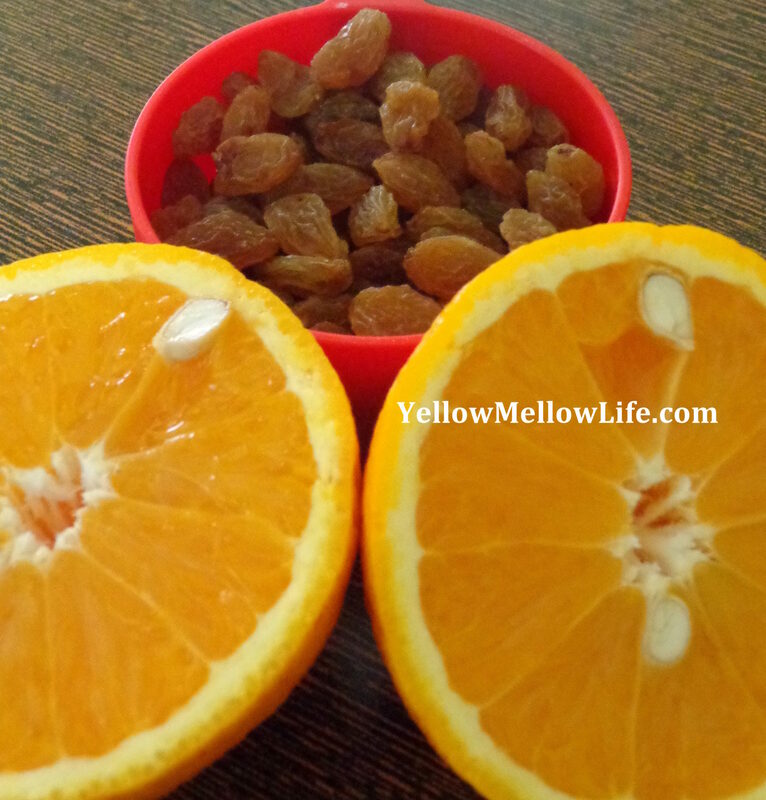 The raisins will be plumped and will carry the tangy flavor of the orange juice. Using them will definitely give your dessert an extra punch. Find the recipe for wheat flour carrot cake here. We Made it to the Honor Roll of Indian Food Bloggers Awards IFBA 2015!